Protesters took to the streets of Tokyo to demonstrate against Prime Minister Shinzo Abe, calling for him to resign amid a cronyism scandal. 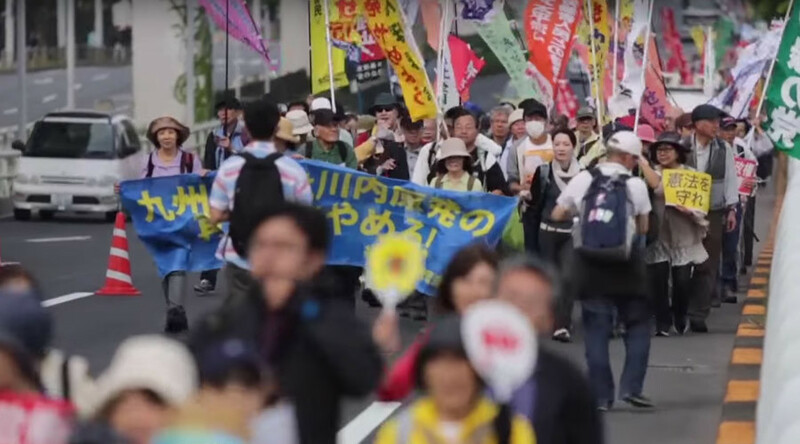 The crowds also voiced opposition to revising Japan’s post-war pacifist constitution. 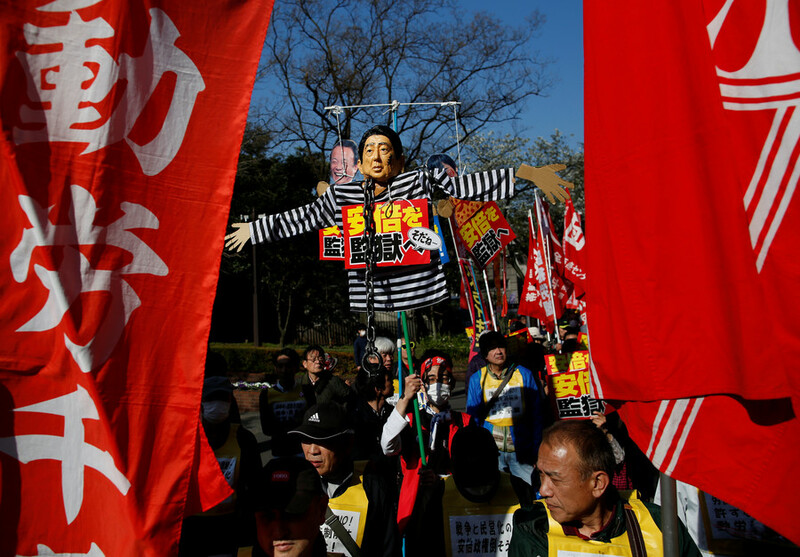 Hundreds of demonstrators turned out for the Sunday protest, carrying banners which read “Go to jail, Abe!” and “No constitutional revision or war!” One sign depicted Abe as a prisoner, in a black-and-white striped uniform. Footage posted by Ruptly showed officers looking on as protesters chanted. 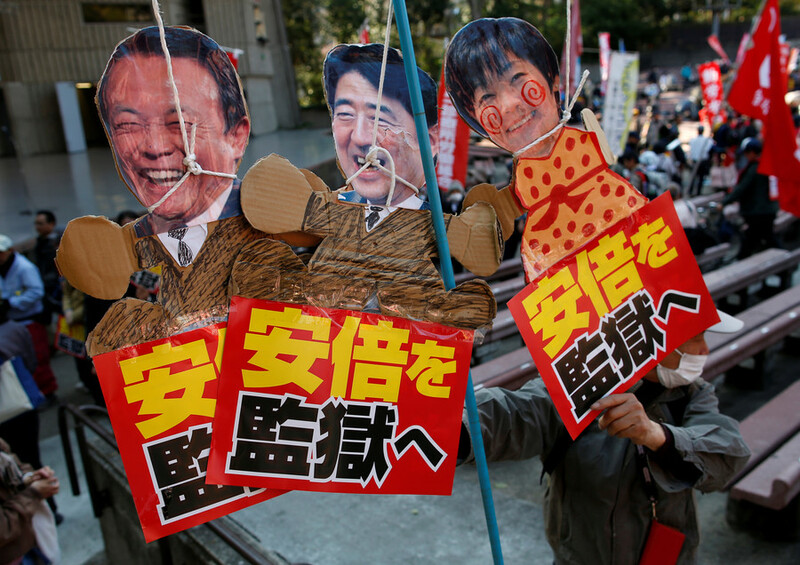 Their anti-Abe slogans rang through the streets of the Japanese capital. 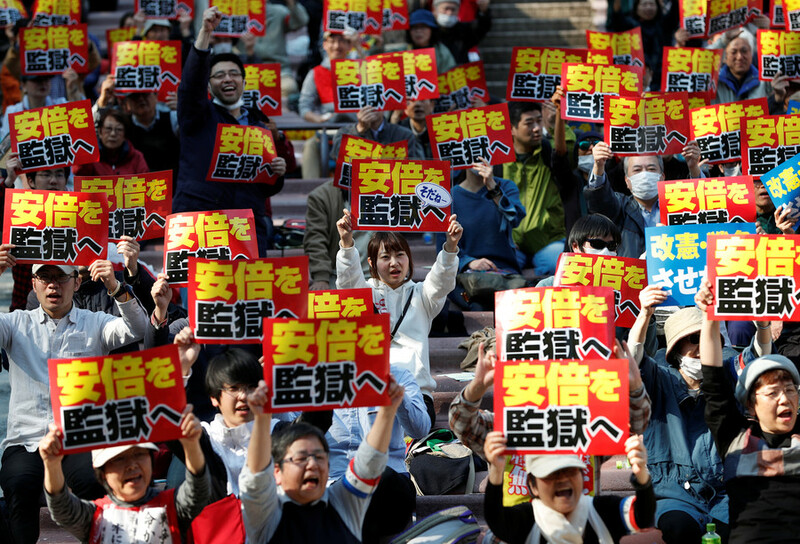 The demonstration comes amid claims that Abe was involved in the sale of state-owned land at a huge discount to a nationalist school operator which has ties to his wife. The allegation and attempts to cover it up have triggered a cronyism scandal. 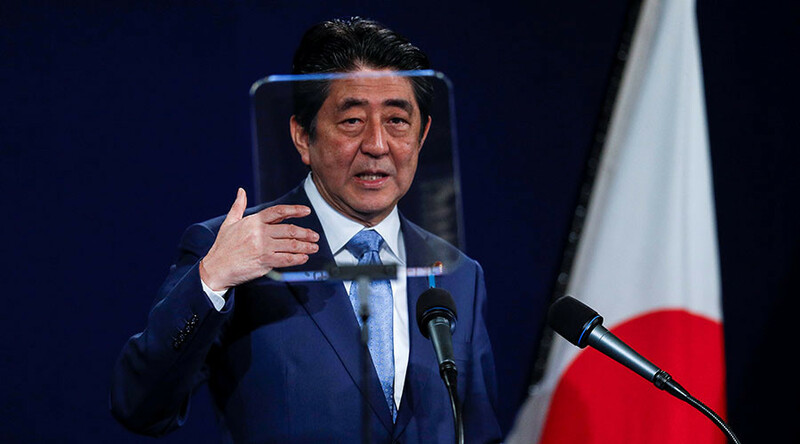 Abe has apologized for the current situation “shaking the people’s confidence in the administration.” All the same, he has denied that he or his wife intervened in the sale, or that he sought to alter documents related to the deal. 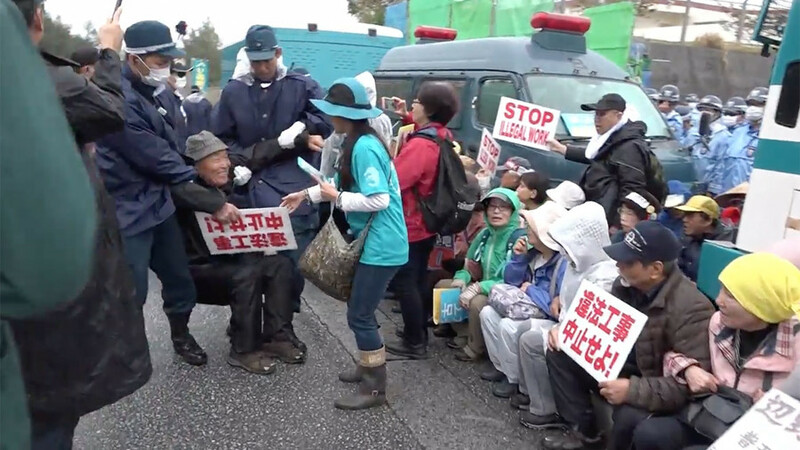 Meanwhile, demonstrators also protested against Abe’s decision to revise the country’s pacifist constitution, drafted by the United States after World War II. Abe wants to make mention of the country’s Self-Defense Forces (SDF), to end a current debate of their constitutionality. 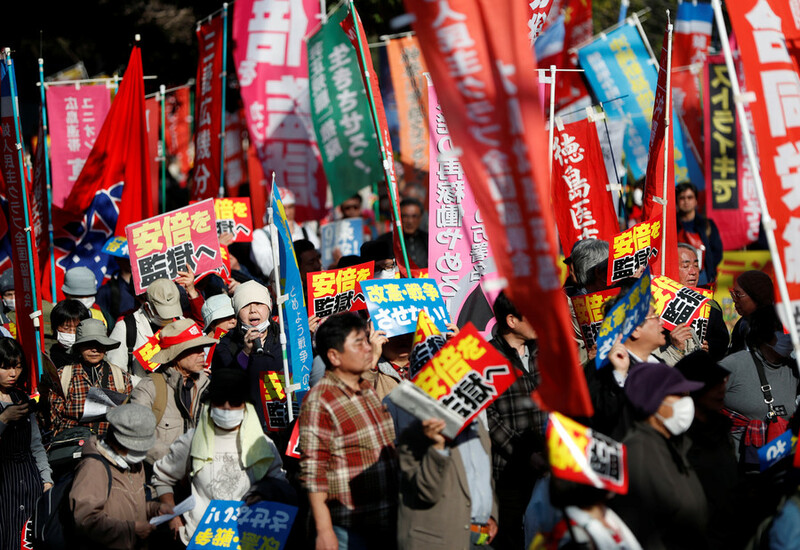 The ruling Liberal Democratic Party (LDP) adopted a proposal to revise the constitution during a convention on Sunday. 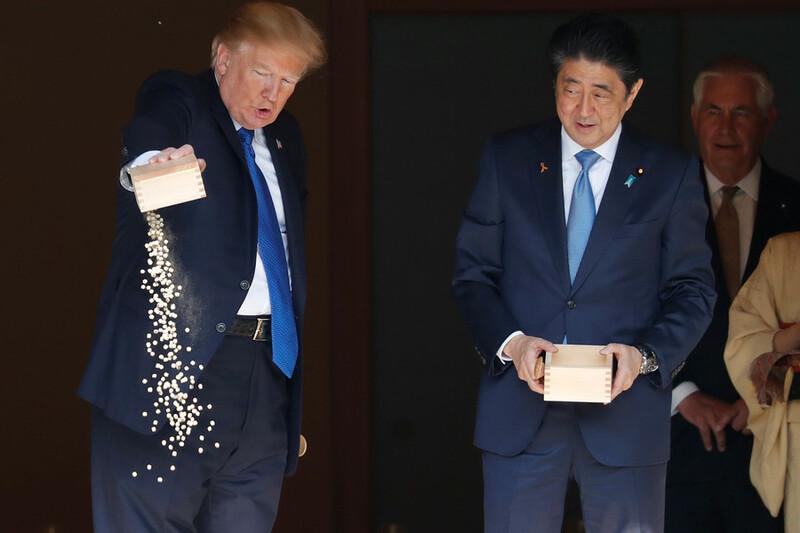 Abe says the area of the constitution which renounces the right to wage war and bans the maintenance of a standing military will be left unchanged, and that the country’s security policies will stay the same. 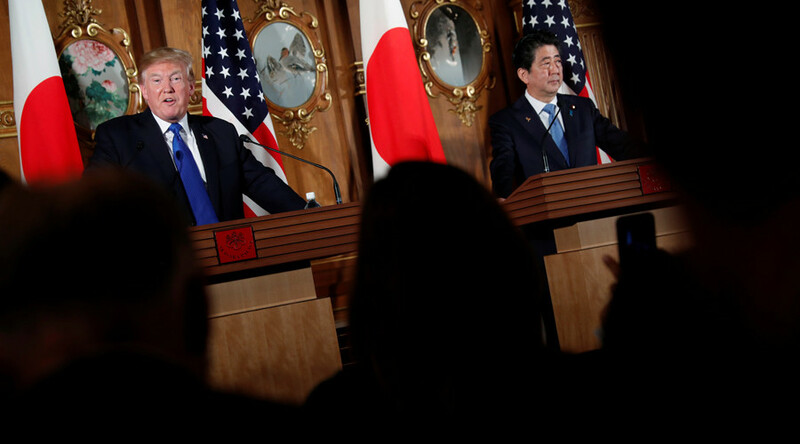 However, critics fear the move could pave the way for the Japanese military to play a bigger role overseas.